Recently, I had the honor and pleasure of being interviewed by Dr. Hackie Reitman, an orthopedic surgeon, ex-prize fighter, and now author and producer. My role was to provide additional clinical information about his newest endeavor to address the difficult challenges met by people with Asperger’s syndrome. The eclectic doctor has written and produced a soon-to-be-released movie entitled The Square Root of 2. 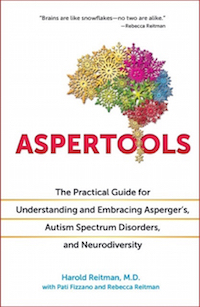 Plus, he is in the process of publishing his enlightening book, “Aspertools: The Practical Guide to Understanding and Embracing Asperger’s, Autism Spectrum Disorders, and Neurodiversity,” to assist patients, families, and the public in understanding what it is like to live with Asperger’s, and helpful strategies for success. 10. As with autism, which is due to a variety of causes with varying presentations, there isn’t one kind of Asperger’s syndrome. 9. The appearance of any lack of cognition or empathy often does not reflect the affected individual’s reality. They experience emotions, like the rest of us, but do not necessarily exhibit them in a typical manner. Sometimes their frustration can boil over into extreme anger. 8. People ‘on the Spectrum’, who are able to communicate and aren’t aggressive, are considered ‘high functioning’. When Dr. Asperger described the first cases, however, earlier cognition and language differentiated his patients from ‘regular’ ASD. 7. Everyone who doesn’t get a joke doesn’t have Asperger’s, and many Asperger’s patients have a sense of humor. 5. Sensory issues are a major problem, and difficult for the neuro-typical individual to appreciate. Fluorescent bulbs are a distraction, certain sounds can be like chalk-on-a-blackboard, perfume may be nauseating, taste can be very picky, and just the thought of touch may become frightening. 4. Individuals can learn from a trusted friend, family member, or teacher. However, many educational environments produce a distracting cacophony of sensory issues. Knowing that a highly social situation will be very anxiety producing makes the sufferer easily distractible and leads to poor focus. It’s not necessarily ADHD. 3. A narrow range of interests and repetitive behaviors are not always obsessive-compulsive behaviors, they are part of the condition. That is why the usual psycho-schizo-antianxiety medications are often ineffective in Asperger’s patients. 2. This is not a diagnosis ‘du jour’. People who experience this condition know it, and are usually relieved when they find out the reason(s) for their differences. 1. As with other ‘Spectrum’ patients, there are often additional somatic issues involving the gut, allergies, and nutritional deficiencies. A thorough medical workup with appropriate medical intervention is frequently quite helpful in relieving some core signs and symptoms. Dr. Reitman, who is the father of an Aspie, is helping to design a better understanding and treatment of this mysterious condition. It’s comforting to know that, like Dan Marino, Ernie Els, and Jim Kelly, the autism community has another true champion on our side. 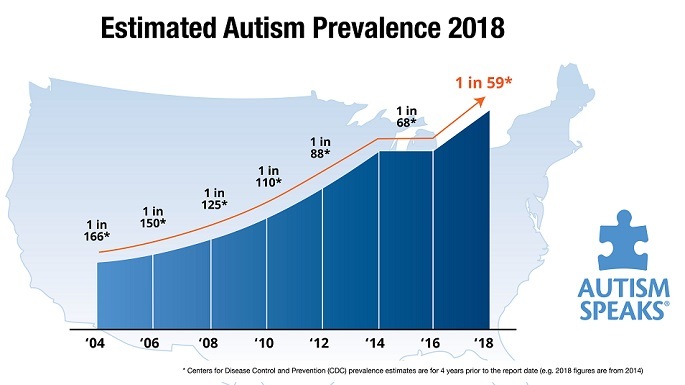 This entry was posted on Monday, February 2nd, 2015 at 6:03 pm	and is filed under >ALL<, AD/HD, Asperger's Syndrome, Autism Therapies, Earliest Red Flags, Gastrointestinal Issue, News-Maybe-Worthy, Patient experiences, Sensory issues, Speech and Language. You can follow any responses to this entry through the RSS 2.0 feed. You can leave a response, or trackback from your own site.